VeryPDF PDF Editor has been updated to Version 4.1 and we have added a new function that by it you can replace text in PDF document in bath. After replacing, you still can edit the PDF in other aspects. 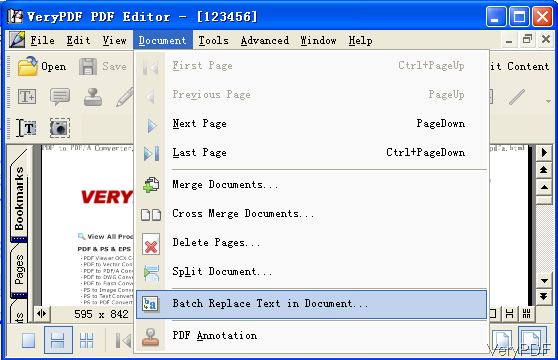 In the following part, I will show you how to use this function in PDF Editor. This software is GUI version, so you need to install it then you can use it. Once the downloading finishes, there will be an exe file. Please double click the exe and follow the installation message. Once the installation finishes, there will be an icon on the desktop. Please double click the icon to launch this software. The following snapshot is from the software interface. Please do as I showed. Please click option Open to add PDF file to software interface. Or you can simply drag this file from its containing folder to software interface. Find replace option Document like I showed in the following snapshot then choose Batch Replace Text in Document option in the dropdown list. When you click that option then you will the following dialogue box. In this menu tab, you can find text and replace it as many as you need. I will take random PDF file for example. Please note when you need to replace text in PDF file, first please judge the PDF property. 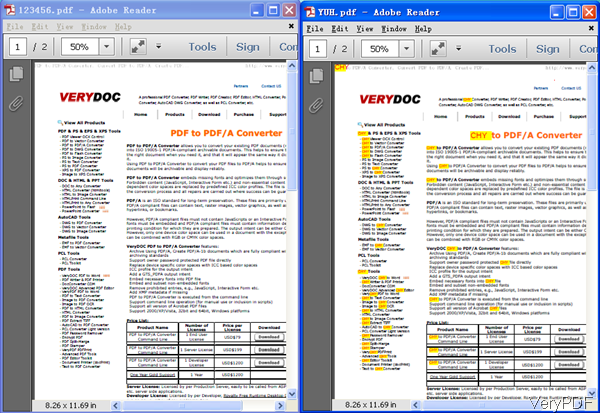 When replacing image PDF and text PDF, please use different methods. 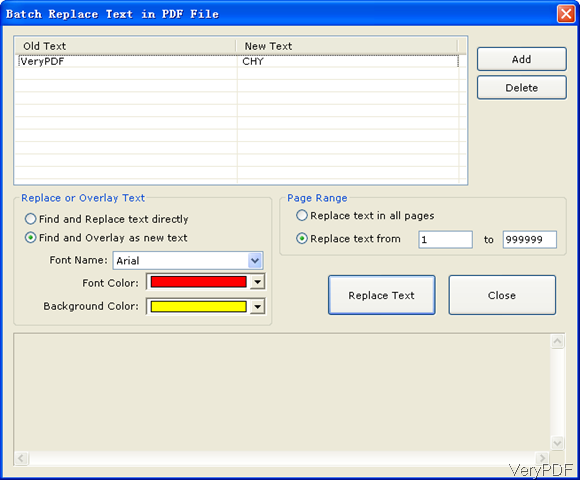 In the article, I will take replace text in text based PDF file for example. When you open the dialogue box, it is easy to find the Add button. When you click it, those blanks will go fillable. Please input the text you want to be replaced in the old text part and input the text you need in the new text part. There is no limit about how many text you want to be replaced. When you finish replacing in the first part then go to the second blank. 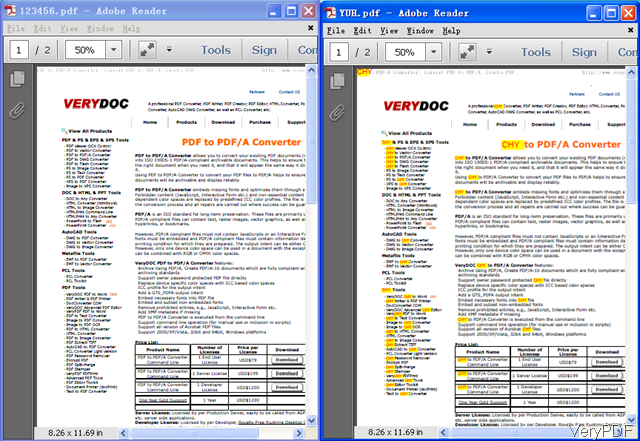 When replace text in text based PDF file, please choose the second option Find and Overlay as new text. And in the following part, you can choose the font style, fonts color and background color. In the Page Range part, you can choose let the replacement apply the whole PDF file or just a few pages. When you finish setting part, please click button Replace Text then there will dialogue box pop up reminding you to choose the output folder. Once output file path has been set, the replacement will be launched at once. Then please find the replaced PDF file in the specified folder. Now let us check the replacement effect from the following snapshot. During using, if you have any question, please contact us as soon as possible. This entry was posted in PDF Editor and tagged replace text. Bookmark the permalink.